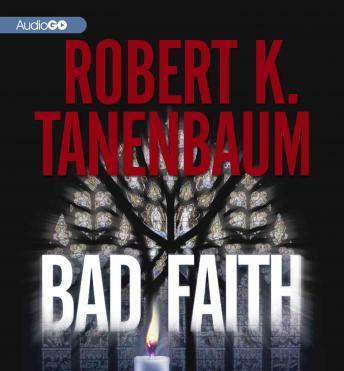 In Bad Faith, two gripping story lines that could have been torn out of today's headlines meet at the intersection of religion and medical ethics. In the first, Butch battles to convict the parents of a deceased boy for failing to seek medical attention for their son, who believed, wrongly, that prayer was the answer for healing his rare but treatable brain disease. At the same time, Marlene investigates the charismatic demagogue Reverend McCord, who has an undeniable grasp on the parents. Meanwhile, a beautiful but deadly Russian incarcerated assassin, Nadya Malovo, works with Karp from behind bars to prevent a violent attack on New York City. But she harbors a secret vendetta against Karp for interfering in her past crimes, and can't be trusted...This action-packed, edge-of-your-seat thriller will leave fans listening late into the night.